Absolute chaos enshrouds the opening moments of Tie-Dye Shadows as Demure for Sure erupts in electric energy. Characterized by over-driven guitar riffs, shouted lyrics and a fully-fortified wall of noise, the entrance to this album is a fitting testament to its creator’s creativity, and telling of the environments to come. Atwood Magazine is proud to be premiering Demure for Sure’s debut album Tie-Dye Shadows, independently out now. 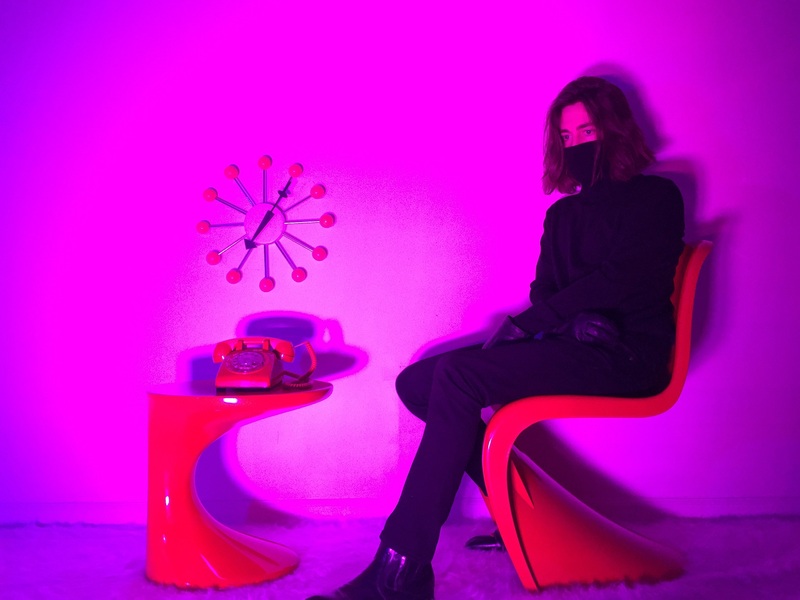 The artistic moniker for NYC-based Zach de Sorbo, Demure for Sure draws inspiration from glam, art-rock and pop influences as well as “all manner of dark, dreamy aesthetics.” His music is unnervingly self-aware and constantly unpredictable, filled with the acerbic chaos of the inattentive age of social media. Violent, wild, and curiously mesmerizing, Tie-Dye Shadows lifts the curtains on a world full of dramatic bombast and fanciful color. “Tie-Dye Shadows is a journey inward, backward, and upside down,” explains Demure for Sure. “Now you too can experience the joy and wonder of it all! Jam packed with 10 new songs you’re sure to love.” The sonic smokescreen of opener “Party Hardy” subsides into the psychedelia-influenced “Coconut, Rum and Banana” to reveal a charmingly melodic, playful side to de Sorbo’s artistry. 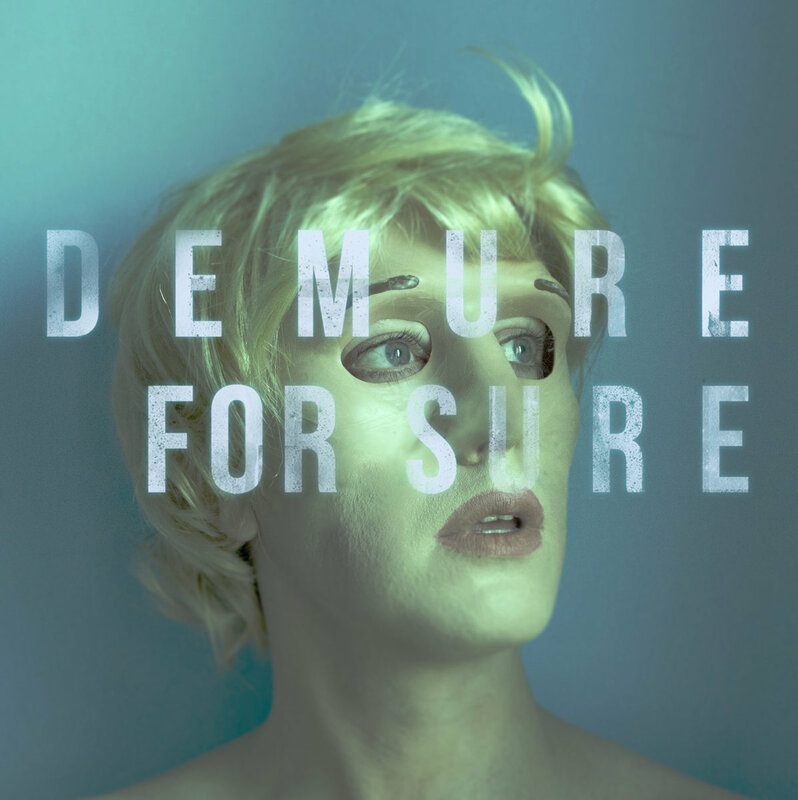 Like The Zombies and Jefferson Airplane before him, Demure for Sure channels the textures and sounds of a long-faded time, resurrecting a nostalgia for which most of his listeners have no bearing: We are not from that era, yet we pine for it. Demure for Sure defies definition. On “It’s Magic,” we feel punk ambivalence mix with new wave melodicism, as well as the artist’s own preference for the cinematic. If anything can be said of this record, it is that this is by no means demure, for sure: The music is overblown, crowded with sounds that demand your attention – and it will grab your ears by force, if it has to. What’d you summon with your friends? Have you spoken with the dead? Though softer moments are often juxtaposed with heavy aural stabs of sound, songs like “Heart of My Heart” win for their sweetness and sincerity: de Sorbo’s lyricism wins out, though you have to strain your ear to fully understand the whispered words. It’s as if he alone is meant to fully grasp the nuances and convolutions of his recorded music. Or perhaps he just really likes experimentation, and this record is an exploration of that wilder, freer nature. Out now, Tie-Dye Shadows captures an artistry in motion, still in search for a cemented definition and using all the tools at its disposal to challenge both artist and listener alike. Gallantly unpredictable, Demure for Sure is a unique musical force, and we cannot wait to see where he goes next!